Two Spanish teams head to head for the 2012 UEFA Europa League Cup Final. 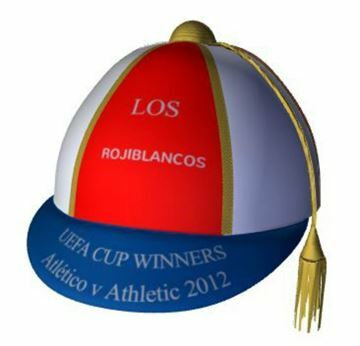 Atletico Madrid won, the beginning of many trophy's for Diego Simeone. A fantastic example of an elegant Graduation Cap.You can create Graduation Caps in the Cap Designer. The All Blacks have dominated International Rugby Union. Record breaking 3 time winners well deserving of an Honours Cap. Andy Murray made history when he won the second of his two Wimbledon titles. 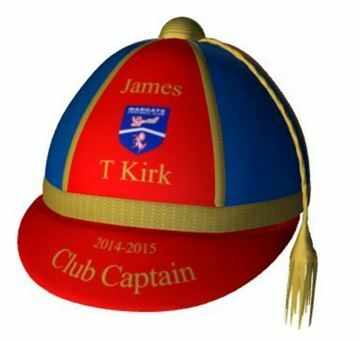 We commemorate his success with this beautiful cap, Dunblanes pride. 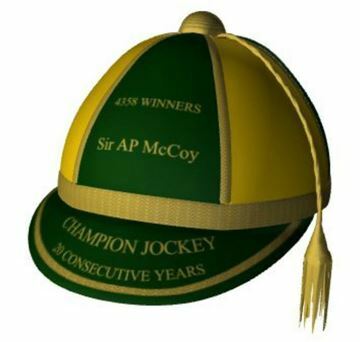 A tribute to the master jump jockey AP McCoy. 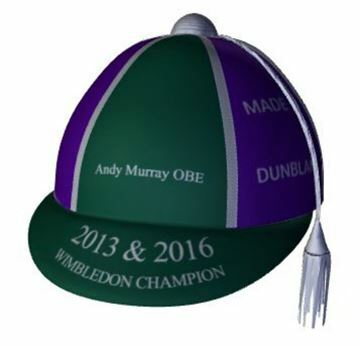 This Honour Cap is an exclusive design for a unique sporting legend. 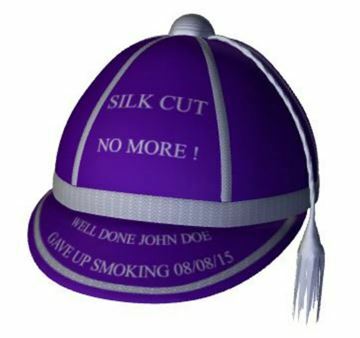 The Honour Caps Give up Smoking Award can be personalized and copied on the Cap Designer. A unique gift to reward a very special achievement. This outstanding rugby club achieved premiership success in the 2011-12 season. With its striking colours this cap commemorates the magnificent win in style. 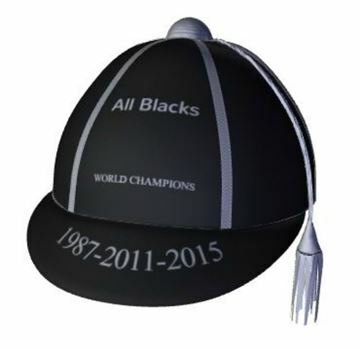 A commemoritive cap for one of the most iconic colour combinations in sports history. The legendary MCC, the keeper of Cricket are celebrated with this magnificent cap.